Cinco Puntos Press, 9781947627048, 208pp. 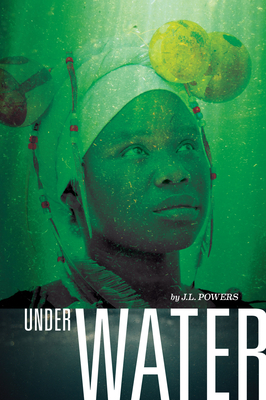 After her grandmother dies, seventeen-year-old Khosi must learn to survive on her own-taking care of her little sister Zi, making a living as a healer, and trying to finish school somehow. But everywhere she turns in her urban Zulu community near Pietermaritzburg, South Africa, she faces violence and loss. When her beloved township Imbali flares up in violence, Khosi finds herself at the center of the storm. Accusations of witchcraft swirl around her, despite her every effort to keep her healing practice as a sangoma aboveboard. Competing taxi bosses seek her out for protective charms as they go on the warpath against each other. And then there's the whole problem of love. When her longtime boyfriend chooses the wrong path, Khosi finds herself caught up in a new romance. Will Little Man let her go live her own life? J.L. Powers is the award-winning author of four young adult novels, most recently Broken Circle, a series starter she co-authored with her brother. She works as an editor/publicist for Cinco Puntos Press, and is founder and editor of the blog The Pirate Tree: Social Justice and Children's Literature. She teaches creative writing, literature, and composition at Skyline College in California's Bay A rea and served as a jurist for the 2014 NSK Neustadt Prize for Children's Literature. She launched Catalyst Press in 2017 to publish African writers. She can be found at jlpowers.net, powerssquared.com, and catalystpress.org.